Being new to investing, I wanted to understand how to invest while I was young. I read a couple of books and read forums online. I wish I had a certified financial planner to make sure my investments were right but it felt like financial institutions only wanted high net worth individuals. I didn't have enough assets to justify the cost and didn't want to be steered towards commission-based investments. It is a platform that enables millennials to learn how to invest and meet a financial planner at a coworking space. It helps small businesses generate leads without having to spend money on advertising or marketing. Furthermore, it reduces the overhead cost of maintaining an expensive office building. It is less expensive than going to a traditional financial institution while remaining the same high quality of information as all certified financial planners must be accredited. 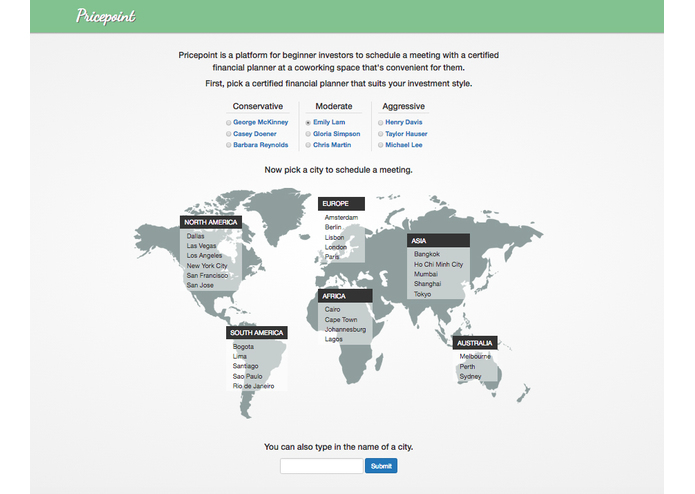 It uses a coworking API, Google Maps API, and the VISA API to pull a list of coworking spaces and to arrange a meeting. It uses Node.js on the backend and Bootstrap on the front end. It was rather tricky dealing with multiple request calls and using async/await. 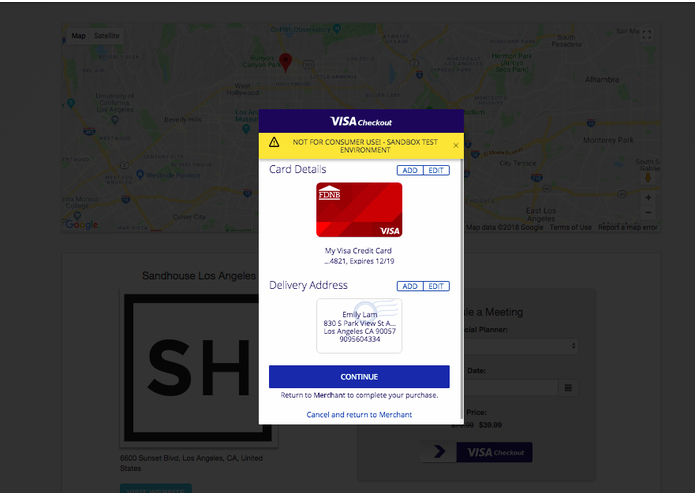 I learned more about asynchronous requests and used the visa API with multiple apis. 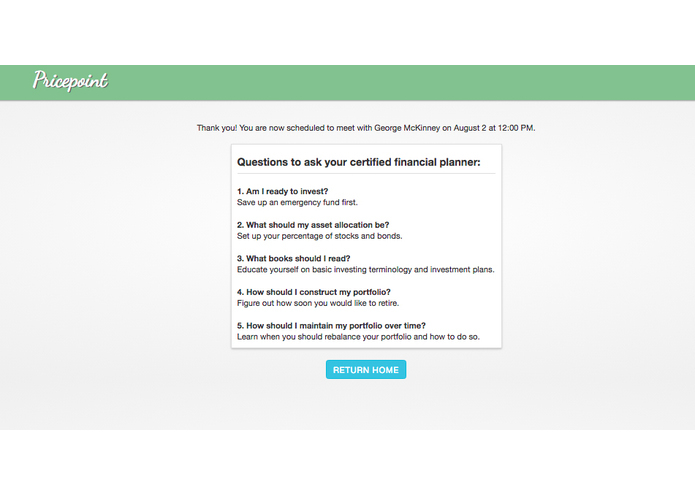 I would have liked to build out more of the financial planner side of the platform including user profiles and email confirmation. It would have also been interesting to incorporate more of Visa's APIs and perhaps build a recommendation system using data analytics.